I looked up at the sky which by then turned dark. It was very hot even at evening 7.The tepid air brushed my skin as I kept walking. There was no one in sight for miles. 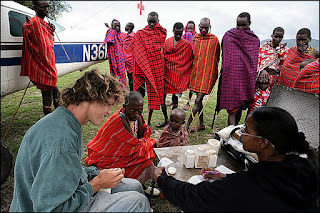 I looked behind,turned around,right and left but I could not locate my directors and my crew of Cameramen who traveled all the way from England to shoot the life of indigenous people of Kenya.We were all set to film the Tribal people of Kenya, the Masai tribe who lived in Kajiodo district in Southern Kenya. I helplessly watched my team getting drifted away from me and searched for them but all my attempts to search them were futile. My feet never ceased to rest.It was in the pursuit of my crew. I kept walking towards my destiny. I am Dale Smith, travel journalist with Travel-planet.com. It was 2010 , May 18. 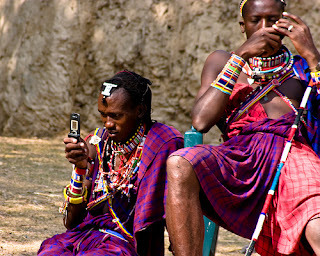 We were supposed to film the life of the Masai tribes,a cover story to be precise.It was complete darkness all around. My torch light seemed to retired as it started dimming.I carried a backpack with me which contained my mobile phone,video camera and the basic essential things required for a Voyage.My torch light finally stopped working. I looked at the dark sky and saw the Moon shining brightly and winking at me. I was stranded alone in complete darkness. I managed to take baby steps forward . The night was young,innocent and full of peace. I could not see or hear anything. The air was still. I moved ahead,tripped over the green grass. I lay unconscious on the green meadow. I woke up the next day. I lay sprawled on the green grass. My eyes opened to the sight of a clan of tribal people.I rubbed my eyes with my palm, opened my eyes wide open. I could not believe that I was actually amidst the Masai tribe members. They all glared at me, although I gave them a sheepish smile. I stood up and tried to locate my backpack which I couldn't .I scanned through the place and finally discovered it . A younger member of the Masai troop was fidgeting with my backpack.Probably he was trying to open it. After much experimentation ,he surrendered. An old man from his clan unzipped the bag for him. I looked around and witnessed a group of 70 Masain's walking with me.I had no other option but to walk. It was then I realized that I was abducted by the same tribal group whom I was supposed to film.I saw a young Masain woman wearing an unusual attire exposing most of her top. She wore huge rings on her ears. One thing I found striking was that they had some peculiar tattoo's imprinted on their body. They took me to their home.Luckily ,they returned me my backpack. I hastily opened it and learnt that it was empty. I spotted a young Masain teen playing with my mobile.I helplessly looked at him. "Boy .. return it back to me," I yelled at him. He got angered by my gesture. He haphazardly pressed some key on my phone which played some music which the Masains felt amusing. They performed a jig and they all loved the music.He investigated my cell phone further and started experimenting with it. "Boy ..what are you trying to do with it...Please don't break it," I pleaded him. “Does anyone here know English?," I asked the Masain tribe to which there was complete silence. May be they perceived me as an Alien from Mars. There was complete silence and we looked at each other. "Hey White Boy... he will not break it..," A voice was heard from behind. He looked old ,dark and his face rugged and full of stubble . He had fat lips and a broad jaw. "Wow ,..so you know English?," I was in a state of ecstasy. "Yes White boy..," The old man replied. "Stop Calling me White boy Sir.My name is Dale Smith," I retorted to which the Man smiled. "Sure Mr .Dale ..I will not call you White boy..," He offered me a drink. My eyes were glued to the group of Masain teens who carelessly handled my mobile phone. "Probably they want to learn how to use Mobile.Teach them the basics of how to use Mobile and how to use Internet on that gadget," He coughed. "Oh yeah sure ..but before that I want something to Eat?..I am famished," I requested the Masain head to get me something to eat. "Oh sad...sadly we are still in hunt for a Lion," He said. "What Lion...you guys eat Lion?," I questioned . "Yes! !," He said. "PETA guys are going to get us jailed if they come to know that you cook Lions for meal and me supporting you guys," I said with a straight face to which the Old Man chuckled. "Wuqh Jee Lu Kiuo Trin Pun Baahhu," A young stocky man said which went Greek and Latin to me. 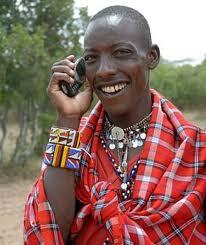 "Koshio ,wants you to join them in the Lion hunt," The old man spoke as he returned me my mobile phone. "Wow good.. here I come dudes!," I said . I checked my mobile for any damages but luckily there was none. "Can we find Lions through this mobile and net?," The old man asked me. "I guess we can," I turned on my GPS locator. We hunted for a while. The navigator beeped me indicating the presence of a Lion. The GPS helped us in spotting a lion.I actually never wanted them to kill any lions but sadly they did. We walked back to their home. We rested. "Dale, the Masain women want you to cook today's lunch..," The Old man smiled. "I am no cook and I can't cook Lions for that matter," I replied. "Its a humble request from them Dale," The Old man said. "OK lets see," I said them. I quickly opened YouTube.com and searched for Lamb meat stew recipe. I was shamelessly going to cook a huge Lion for lunch.I always preferred watching lions on Discovery and Animal Planet. I have never cooked a Lamb in my entire life ,but today they made me cook a Lion . Youtube.com streamed the video for me . We checked the video and cooked as per the instructions given by the chef. The stew was delicious, but it was that awkward situation for me when you have to gorge over a lion for lunch. We rested again and the boys listened to the music on my phone. They charged my mobile phone and once again listened to the music and danced to it. "I have a request Dale.. the young fellows want your phone to play our tribal song which was sung by Katharina Kate, the famous singer from Kenya," The old man requested. I now functioned as their Official Google Operator. I downloaded their Tribal song from Internet and played. A glimpse of Joy struck the Masain crowd as I played their tribal song". Vodafone must have sued me for extensive use of Internet while on roaming. But nevertheless Mobile Internet from Vodafone was always fun. I took a power nap. When I woke up, I saw a huge mob gather as one of their clan member was ill. "What happened Toshio?," I asked the Old man as he was the only English speaker. "A snake bit our Huyga and she is ill. Please help her Dale," He once again requested. I googled for remedies . "Quickly find Eichenacea ...," I said. Within 30 minutes ,one of the Masain youth got Eichenacea, a natural herb for snake bites. We applied Eichenacea on her left foot where the rattle snake bit her. She recovered after 2 hours. The girls family thanked me. I started to enjoy their company . I taught them how to play games on Mobile, how to download songs and explained them everything about phone and Internet. I also teached them how to use Internet on Phone.We viewed Television on my mobile, thanks to the TV application which was installed on my mobile.We watched wonderful videos and movies of their favorite actor Collins Mwadime. "You know Toshio..I really wanted to be in touch with you guys .But sadly you guys don't have Facebook," I said to the Masain Oldman. "What is Facebook?," One of the Masain Tribe member asked his head Toshio. "Facebook is an online community where you stay in touch with people, " I smiled. "Why don't you open a facebook for us ?," The old man smiled as he spoke. "Oh Toshio..hope you aren't kidding me? ," I laughed. "No Dale, I am serious," He requested. I quickly opened him a facebook profile through my mobile. Finally they decided to free me. It was a wonderful time which I spend with them. It was finally time to say bye. I hugged Toshio and shook hands with most of the Masain tribe members. They wished me luck and took a group picture with me with the help of my mobile. They were attached to me and gifted me a pug dog in token of their memory.This pug dog reminded me of the pug which features on the Vodafone Ad. It was my best experience. We had lots of fun.I explored their life and later on went on to make a film on them which received overwhelming response and many awards.My work demands me to stay outside most of the time. So I hardly access internet through laptops or PC's.Mobile phone is the last resort. 7 Months later when I logged into facebook ,I received a friend request from Huyga. She was the same girl whom I helped when she was down with snake bite.I accepted her friend request. "Dear Sir,..thanks for visiting us and saving my life. We Masains, are thankful to you. Do visit us again. Love Huyga ! :-) " She wrote on my facebook wall. "Its my honor dear girl. Thanks to you guys for your wonderful time. Thanks to Vodafone net.If I had not activated the Internet pack then I wouldn't have been able to save you..Stay healthy and blessed. See you soon," I replied to her wall post. I later on realized that Toshio and Huyga had liked my comment. Now the lifestyle of the Masain Tribe has changed a lot. They use phone and internet as a communication medium to connect to the outside world. Jonathan Dimbleby of BBC world recently interviewed them. Here is the video. hey really a creative post indeed! Managed to read your wonderful and creative post only after the results were announced but better late than never!!! Congrats Ste, BTW, how was the match?? ?